How to take screenshot on Fire HD, Kindle Fire and Kindle Fire HDX tablets? 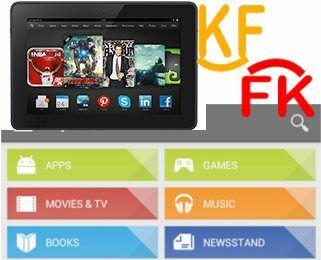 How to sideload Android apps in Kindle Fire, Kindle Fire HD and Kindle Fire HDX? How to enable and access developer options on Amazon Fire tablet, and how to hide developer options again? Please use this guide if you want to install Google Play store or use any Google services on your Amazon Fire tablet. It works on Fire tablet (HD 7, HD 8 and HD 10) from 4th gen, 5th gen, 6th gen, 7th gen and 8th gen. Updated with video. Transcripts added at the end of this post. Video guide: how to sideload Android apps in Kindle Fire, Kindle Fire HD and Kindle Fire HDX? Can I run Android Apps on Kindle Fire tablets? You may already know that Kindle Fire tablet (Kindle Fire, Kindle Fire HD, Kindle Fire HDX) actually is an Android tablet. The Fire OS 3 in the new Kindle Fire HD, Kindle Fire HDX 7 and Kindle Fire HDX 8.9 actually is based on Android Jelly Bean 4.2. Of course, Amazon hacked Android so heavily that it is hard to find any traces of Jelly Bean in the UI. But this does not mean you cannot install Android apps, for example, from Google Play Store. Amazon Appstore for Android has a decent collection of apps that are compatible with most Android devices. Similarly, most Android apps can work on Kindle Fire, Kindle Fire HD and Kindle Fire HDX tablets without any modifications. So, the answer is very clear. Yes, you can run almost all Android apps in Kindle Fire, Kindle Fire HD and Kindle Fire HDX. Why sideload Android apps in Kindle Fire, Kindle Fire HD and Kindle Fire HDX? Disclaimer: Amazon, Kindle, Kindle Fire, Kindle Fire HDX are trademarks of Amazon Inc. This website is NOT affiliated with Amazon Inc in any way. All the information provided on this website is provided on an "as is" and "as available" basis and you agree that you use such information entirely at your own risk.